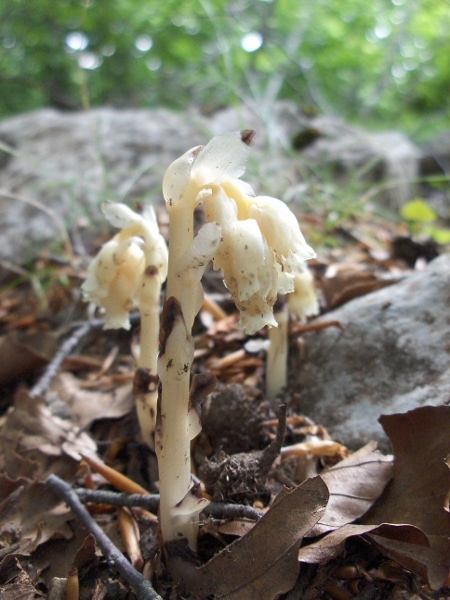 Synonym | Monotropa hypopitys L.
Hypopitys monotropa (formerly Monotropa hypopitys) is a saprophytic plant, and so lacks both chlorophyll and any meaningful leaves. 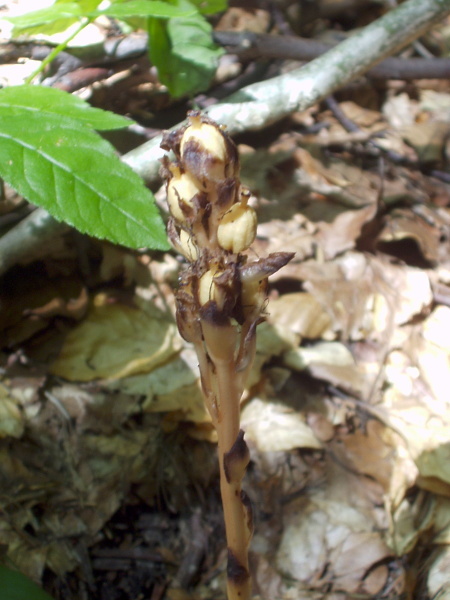 In Hypopitys monotropa subsp. hypophegea, the style is shorter than the ovary; in the more widespread H. monotropa subsp. monotropa, the style is longer than the ovary.